I am not sure if this post qualifies as a recipe post but I simply couldn't not share it. I made this a few days ago, shared a photo on Facebook and instagram and got quite a response. So thought it definitely deserved a post. 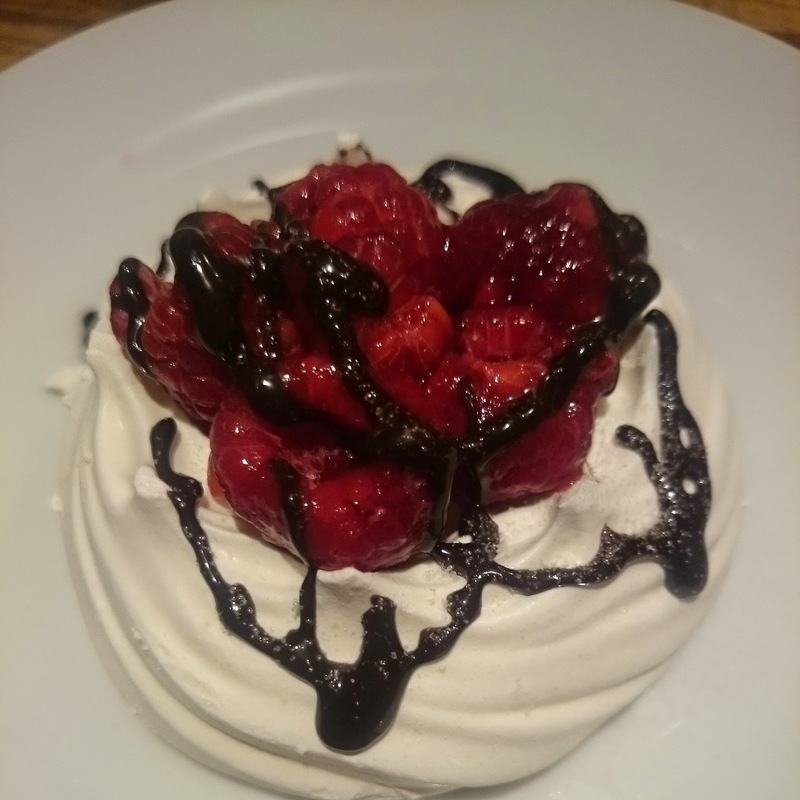 All the ingredients - raspberries, chocolate sauce and meringues - were store bought, although I would love to try my hands at meringues some day. Place the raspberries on the meringue nest. Sprinkle with some icing sugar, if the raspberries are too tart. Drizzle some chocolate sauce.